The Hema Maps Tech Support System encompasses a number of facilities. The Knowledgebase (KB) is designed to answer many questions related to your use Hema Maps products. KB articles are assigned to categories in an effort to help you find what you are looking for. Articles are generally divided into per product top-level categories (ie. HN7 Navigator) which contain additional sub-categories to help narrow down your search. Some articles exist in more than one category, as they are not specific to a particular product. We try to maintain a list of articles which are based upon the questions we get asked related to Hema's range of products. What's NOT in the Knowledgebase? We generally do not provide any specific information related to non-Hema hardware, unless there is some specific interaction with our software or apps. If you are looking for information about what a particular button does on your new iPad, then it is not likely to be here. In these cases, you will likely be better served by visiting the manufacturer's website or using Google (or whatever your favourite search engine is), to search for this information. You can browse through the categories directly using the tree view on the left of the KB page. For example, you might be looking for information related to updating your street maps on your HN7. You can open the HN7 Navigator category, then open the iGO - [Street mode] sub-category. You will quickly see what articles and other sub-categories exist in this category, and (hopefully) find the information you are looking for. You can use the Search Entry Field at top-right of the page. You can enter any text into this field, and as you type, the articles are dynamically searched, and possible matches are displayed directly beneath the search entry field. You can also click the Advanced Search button (the small down arrow icon to the right of the Search Entry field). 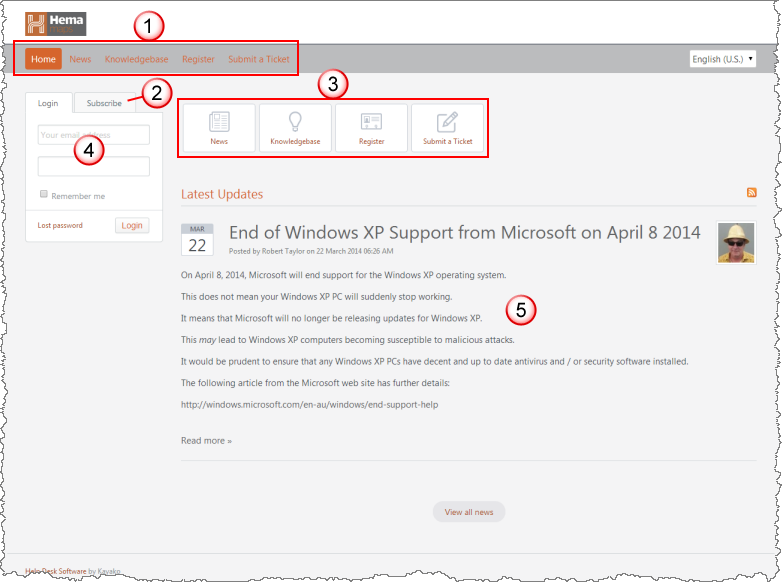 This will take you to the Advanced Search page, where you can perform a more specific search of the KB. There is a lot of information in the Knowledgebase. If you do not find what you are looking for, try changing the text you enter in the search box. Be brief, but not TOO brief! Searching will not work correctly for words of three characters or less. It is probably better to type a single word or a few brief words, rather than a big sentence. (ie. rather than typing "how to put gps coordinates into Hema HN6", just type "coordinates"). Sometimes, articles will have a file or files which you can download which support the article. Any downloads will be marked with the download icon, as shown below. To download the file, simply click the icon, and browser to a location on your PC where you wish to save the download. Sometimes, there may be a number of articles which are related, or have a connection in some way. If there are related articles, they will be shown in the "Related Articles" box at the bottom of the current article. 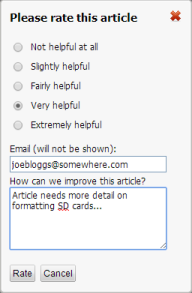 To assist in clarifying details in articles and generally improve the Knowledgebase content, you can rate an article. 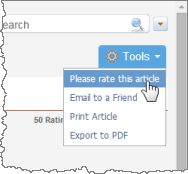 Click the Please rate this article link to open the rating window. If you do not find the information you are looking for within the Knowledgebase, you can submit a ticket on the Hema Tech Support Ticket system. This system is designed so that issues can be tracked to their completion. Please be sure to search the Knowledgebase for an answer prior to submitting a ticket. Many times your enquiry has already been answered in a Knowledgebase article. When submitting a Tech Support request (called a ticket within the system), please supply as much information about the issue as you can. This will enable the Tech Support staff to provide timely and accurate support. Displays all the Article Categories in a click-able list down the left-hand side of the screen. Recently, Hema Maps has moved to a new Knowledgebase which has better search functionality. Clicking either the Knowledgebase button on the main menu or the Knowledgebase button on the home page will direct you to the new Knowledgebase. Allows you to create your own account for tracking ticket within the system. You do NOT need to use the Register function to create an account in order to use the Submit a Ticket function. If you submit a ticket without having first created an account, the Ticket System will create an account for you. If you submit a ticket using the same email address as that which you used for the previous ticket, the new ticket gets created under your account. It is important that you specify a valid and correct email address when either registering an account OR submitting a ticket as any communication related to a ticket will be sent to that email address. When you use the Submit a Ticket function, you are creating a ticket in the system which is used to track the issue through to completion. You do NOT need to have an account in order to use the Submit a Ticket function. Enter a valid email address in the Subscribe tab and you will be notified when new items are posted to the News section. These buttons are visible on the Home page only and perform the same function as the equivalent button on the Main menu bar (see above). You submitted a ticket as a new user. The ticket system will have created a user account AND assigned a password to your account when you created the ticket. The account details will have been sent to the email address you specified when you submitted the ticket. You used the Register button to create your account and password yourself. Whichever way your account was created, you can enter your username and password here. Once logged in, you can use the My Tickets button on the main menu bar to view the status of current and past tickets. If you cannot find the information you are looking for within the Knowledgebase, please call 07 3340 0000 and ask to speak to a Tech Support consultant. Phone support is provided between the hours of 10:00 AM and 03:00 PM on weekdays.